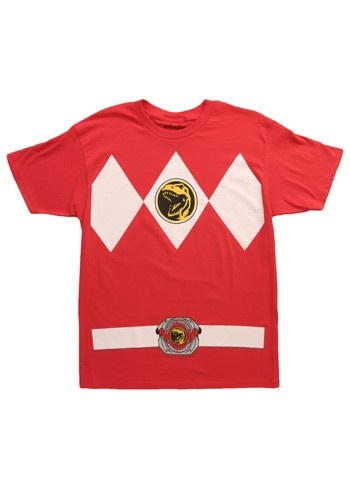 Red Power Ranger Costume T Shirt By: Mighty Fine for the 2015 Costume season. If you were anything like me as a kid, you couldn't get enough of the Mighty Morphin Power Rangers on weekday mornings. I always watched it before heading off to school, and it always made the day a little bit brighter and definitely more Japanese than it was before. Seeing this Red Ranger t-shirt brought all those memories rushing back! Sweet nostalgia.